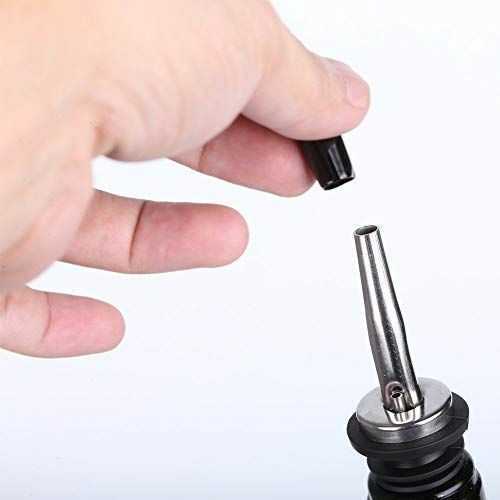 If you already have tapered metal pourers and are having issues with pesky fruit flies, smoke, dust or debris getting into your expensive liquor bottles, than adding a spout cap will solve your problem. Simply press the cap over the opening of the spout. It's that easy! This small investment will save you money from throwing out pricey alcohol or prevent embarrassment of customers finding bugs swimming in their drink. DON'T FORGET: If you are ordering chrome pour spouts from us, you will already be receiving a spout cap at no charge for each pour spout you order.